Hi, everyone! Do you want AVG Antivirus 9.0 worth $34.99 for free? Here comes another big Freebie for all you guys. Thanks again to v3.co.uk. Just few days back we had the Bitdefender Antivirus Promo and this time it is AVG Antivirus 9.0 license number valid for one year for one PC free to all users for one day only. If you’re been using the popular AVG Anti-Virus Free for a while , now is your chance. Hopefully, many of us wont be buying a Antivirus product this year. The difference between the Free and the commercial edition, worth $34.99, includes advanced root-kit protection, a game mode so you can remain safe, without affecting your gameplay, phishing protection and more. If you use your computer every day, you need protection that’s always there, constantly keeping you safe. With AVG Anti-Virus, you get hassle-free protection against today’s most sophisticated threats, online and offline. AVG Anti-Virus includes our unique LinkScanner® to prevent you from accidentally visiting harmful sites. With AVG Anti-Virus you also have access for the first time to AVG Identity Theft Recovery Unit that will help you get your life back in order if you ever become a victim of identity theft – online or offline. For a less costly approach to complete and competent virus protection on your PC, it may be time for you to look into AVG anti-virus 9.0. How to get AVG anti virus 9 license number free for? AVG Antivirus 9.0 license number worth $34.99 valid for one year for one PC FREE to EVERYONE on 31st of August for one day only.This promotion is live between midday CET (Central European time) Tuesday 31st of August and midday CET 1st of September 2010. Now, grab your free AVG anti virus 9 license number! 1. You must be a registered member of V3.co.uk Software Store to access the download link . 2, go to http://avgpromo.v3.co.uk to get your serial code. Your serial code is valid for 1-PC for 1-Year. We’re proud to be able to announce that, between midday CET (central European time) 31st August to midday CET 1st of September, we’re giving you the full current version of AVG Anti-Virus 9 [1-PC, 1-Year], worth £26.99, FREE for everyone to download. So don’t forget to visit the v3 promo page between midday CET (central European time) Tuesday 31st of August and midday CET 1st of September 2010. Also, keep in mind, the licenses are NOT unlimited even though v3 have many thousands to giveaway. So it would be better if you don’t wait for the last hour to grab it. If the codes expire early, the giveaway promotion will also end early even before the deadline of midday CET 1st of September 2010. 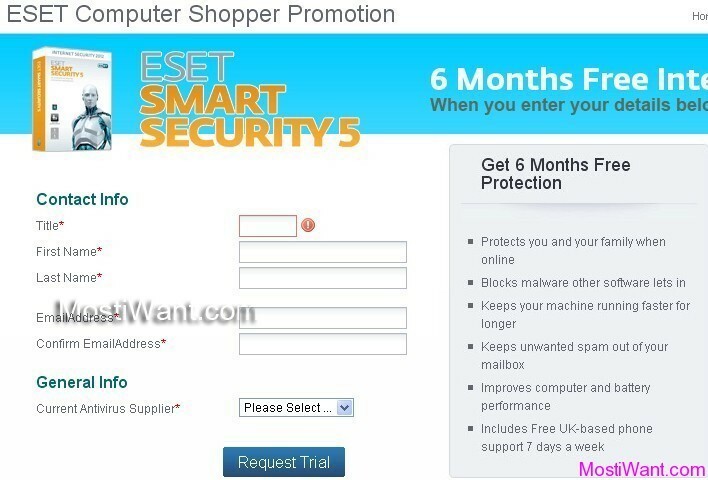 Updated [June 15, 2013]: AVG Antivirus 2013 Free Download 1 Year Product Key / License Number [It doesn’t say how long this offer will stay free, so get it while it last!]. AVG Internet Security 2013 is the latest version on its branch.